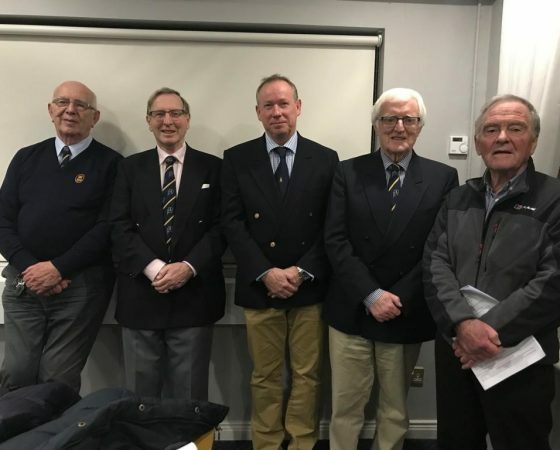 At the AGM on December 13th, Aidan Pounder was elected as Commodore for the club’s centenary year. Pictured left to right are Harry Polly, John Hamilton, Aidan Pounder, Martin Watson and Gerry Bell. Full details of the new committees will be added to the website early next week.